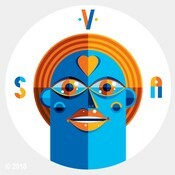 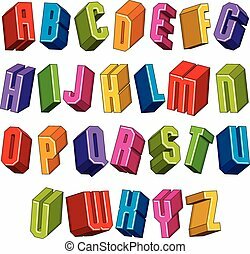 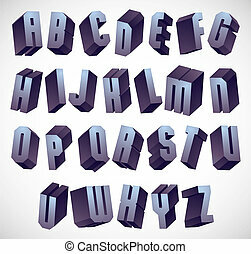 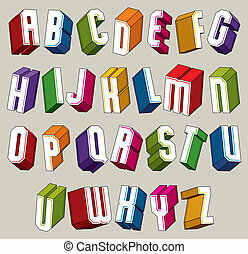 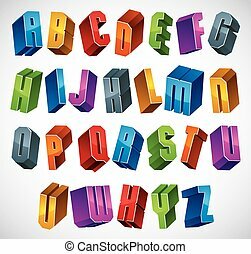 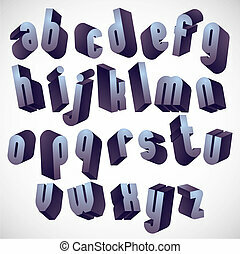 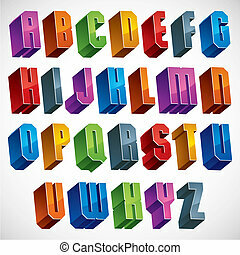 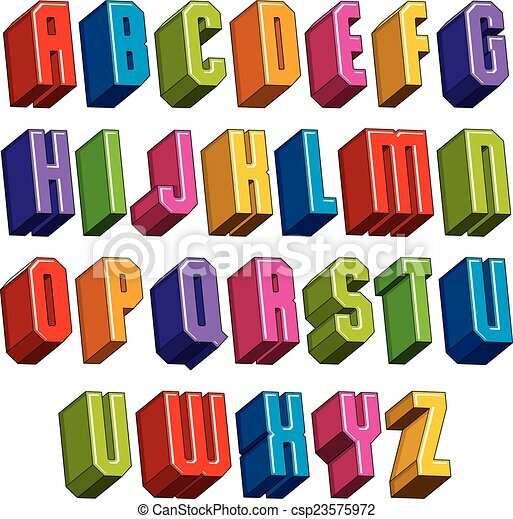 3d font, vector bold and heavy letters, geometric dimensional alphabet, best for use in advertising and web design. 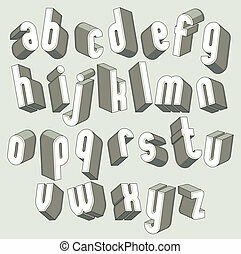 Bold and heavy 3d letters set, dimensional vector font, monochrome. 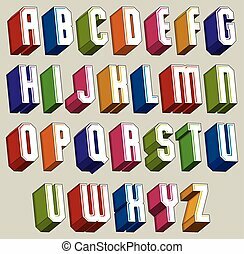 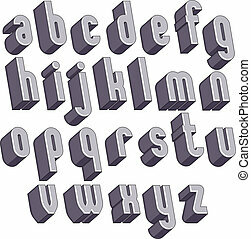 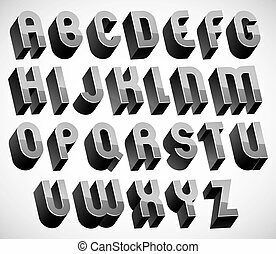 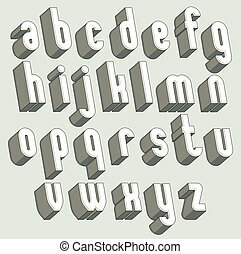 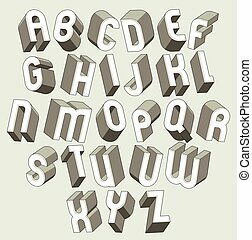 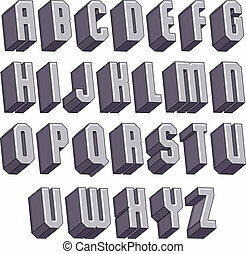 3d geometric bold font, monochrome dimensional alphabet, heavy letters for design.